A lot of companies in Manta tend to overprice the cost of tours in Manta, we have the best price in the market, we invite you to check this; if you are a passenger on a cruise ship we have special prices for you so contact us and get the best from Ecuador. In the port of Manta we will have the best welcome by treating you as you deserve, our tour guides speak English, Polish, Dutch, and French. 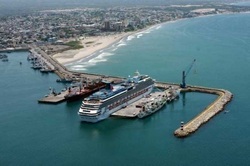 If you are looking for a tour at the port of Manta contact us and we will call you or email you with a rapid response.